Give Back on #GivingTuesday to the Charlton Park VIllage Foundation! Giving back while giving gifts is becoming a popular nationwide tradition with the #GivingTuesday campaign. While being charitable isn’t a new concept, the United Nations Foundation founded #GivingTuesday to spur annual charitable donations to nonprofits everywhere on the first Tuesday every December. This year, it’s December 2nd. 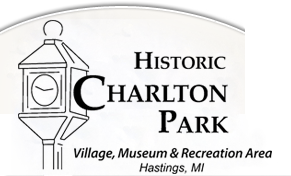 Consider a donation to the Charlton Park VIllage Foundation, which supports collections preservation throughout the Park!